After our last adventure with Brooklyn Botany, we were ready for more of this natural beauty brand. As a reminder, Brooklyn Botany is a natural skin care line that believes in the power of pure essences to heal and revitalize our skin. As New Yorkers we are often exposed to a ton of chemicals in our urban jungle. This leaves us lusting for freshness and the great outdoors. The founder of this brand found his mission through working with actors on film sets. Upon speaking to them he learned that their skin was losing its former glory due to their constant use of stage makeup. He quickly found that this problem was not unique to them, but struck a cord with all New Yorkers who lusted for natural ways to restore their youth and glow after the harsh city life takes its daily toll. From this sprouted the idea for Brooklyn Botany bringing a piece of nature to anyone who wants it – directly to their doorstep. Only using natural ingredients to heal the damaged skin of city dweller this product range is revolutionizing the science of combining these basic oils and elements into the most impactful products for your skin. Another favorite aspect of this line is that they offer these natural solutions for both the male and female market making it a perfect place to shop for yourself and your husband, father or son in one shopping cart. We will be trying two additional products from Brooklyn Botany, the Activated Charcoal Scrub, and the Ultra Pure Frankincense Oil. First, we try the Charcoal scrub and we are excited to bring a spa day to our own shower with this product. The scrub can be used for both body and face and can help with many of your daily skin concerns. 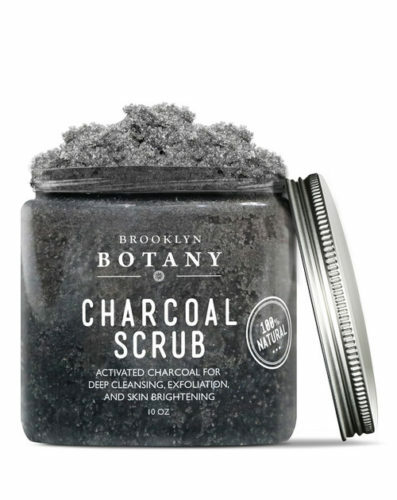 Brooklyn Botany making this scrub versatile for body and face was interesting to us as most body scrubs have granules that are too large and harsh for the face. We quickly found that the scrub uses small granular dead sea salts to uncover the silky smooth skin hiding below any rough patches of skin in a gentle but effective way. Activated charcoal works through the process of absorption to trap toxins and chemicals in the body and subsequently flush them out for detoxed skin and a brighter complexion. Specifically, activated charcoal is great for those of us who have issues with an acne or blackhead prone complexions due to this process! We started by using this scrub in the shower as a body scrub! This scrub contains several natural ingredients such as Aloe Vera, Coconut Oil and Jojoba Oil that make for an intoxicatingly relaxing smell upon first use. We used the product with a body brush to really get the product deeply into our skin. This product is different than other scrubs we have used as it isn’t a solid “scoopable” mass, it is more of a loose sugary texture, so you have to work a bit to get the scrub out of the jar and onto your skin without losing product. Other than the product being a bit messy we were hooked after our first use. The results of smoothing were immediate on our rough patches and we also saw areas of blackheads and somebody breakouts elevated within a few weekly uses. This really seemed to bring out and then elevate blackheads that we have had a hard time getting rid of for years with other higher end products, which to us was worthy of praise for this Brooklyn-born brand. The activated charcoal also seemed to lighten those pesky stretch marks on our sides (or at least soften them a bit), the same can be said for acne scarring. Next, we used this scrub on our faces, it certainly is as impressive for our facial skin as it was on our bodies but there are several guidelines one should always use when exfoliating sensitive facial skin. It always important to be cautious of using scrubs on our faces as over exfoliation can lead to tearing of the skin and can strip the skin of too many natural oils if done too often. But if you’re not already exfoliating there is likely a ton of built up dead skin cells on your face keeping your makeup from going on smoothly. Only use lukewarm water and rub the product in a circular motion all over your skin and neck. Be sure not to press too hard or use for more than about 30 seconds- 1 minute before rinsing. We used this scrub and definitely saw a reduction of our pore size around our noses. Another highlight was its diminishment of red patches on the sides of our cheeks, it gave us a little more glow and softened our skin. The next morning our skin definitely took our moisturizer and makeup. We will be adding this product to our weekly beauty routine! MTF Beauty Hack: Always consult a dermatologist before starting an exfoliating regimen on your face. Most will recommend only using an exfoliant at a maximum of once a week! It is totally dependent on your skin type and important to check! Next, we used the Frankincense Oil which we added to our serum in our daily routine. Frankincense Oil is super star natural oil that contains many heath benefits! One that it is most famous for is stress and anxiety relief making it frequently used in aromatherapy sessions. It also has beauty benefits such as help with scars and the all important anti-aging properties. We really enjoyed the scent of this oil and loved adding it to our serum! It could also be used on its own or added to a lotion. It added a zen moment to our morning and evening routine, which we loved and will continue to do when we need a reflective moment. 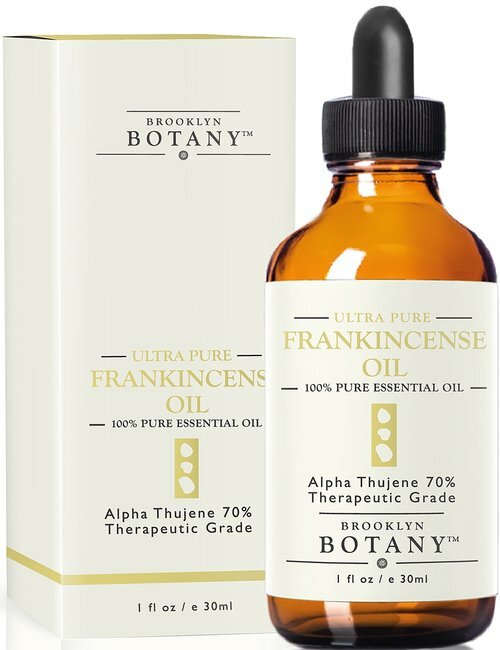 Our experts definitely recommend these two products in addition to the rest Brooklyn Botany line for the busy city dweller, or anyone looking for effective natural beauty solutions. MTF experts also obsessing over these extra-cute, great quality shades from SETS Club. These sunglasses are the best defense against any dark clouds (or anything that attempts to dim your undeniable shine) with 100% UV protection. 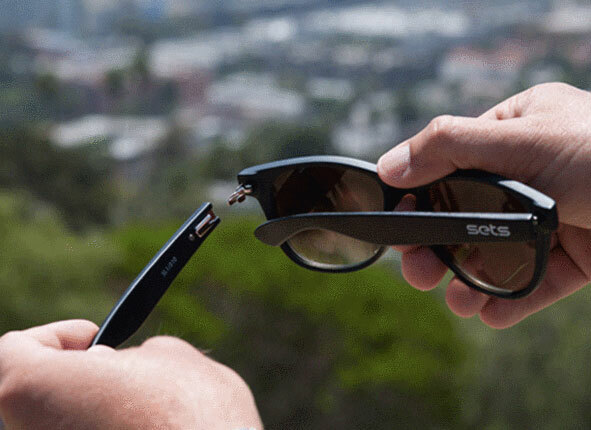 The feel of the glasses is that of high quality, as the lenses and arms of the glasses feel strong and long-lasting. But, the best part about them is that the arms can be changed! Not in the mood for all black sunglasses today? Well, depending on what glasses you choose, you can switch up your look by easily swapping the arms of your glasses, and adding a little hint of color. With Spring already in our living room, and Summer right around the corner, stocking up on some adorable, easy-to-play-with, and affordable sunglasses doesn’t sound like a bad idea!Visit SETS Club and use the promo code: FAME30 to receive 30% off your purchase.